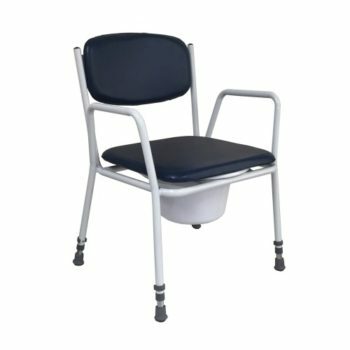 Designed to assist larger occupants that have difficulty using a standard toilet, this K•Care Extra Wide Over Toilet Frame has a weight capacity of 135 Kg and a wider seat area of 500 W x 360 D mm. 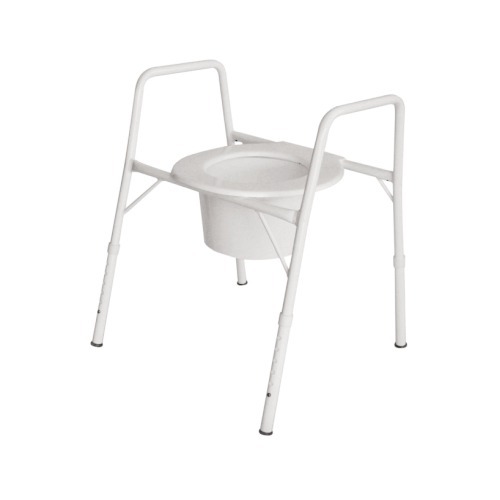 The plastic toilet seat and splash guard are easily removed for cleaning/replacement, and the height and angle can be adjusted. 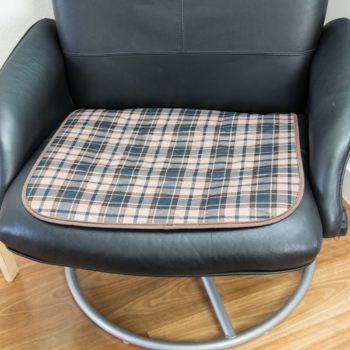 There are arms to provide support to users while sitting or transferring. 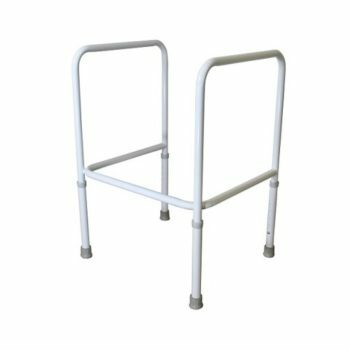 Rubber tips on each leg provide anti-slip stability. 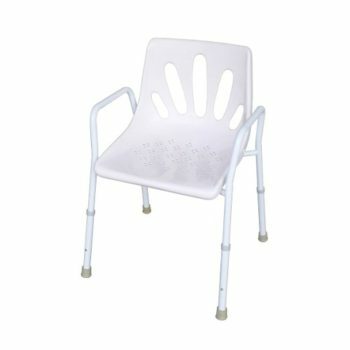 The over toilet frame is durable with a reinforced epoxy powder coated zinc treated mild steel frame and moulded PVC seat.